The in vitro motility assay is a valuable tool to understand motor protein mechanics, but existing algorithms are not optimized for accurate time resolution. We propose an algorithm that combines trace detection with a time-stamped analysis. By tracking filament ends, we minimize data loss from overlapping and crossing filaments. A movement trace formed by each filament end is created by time-stamping when the filament either first (filament tip) or last (filament tail) occupies a pixel. A frame number vs. distance curve is generated from this trace, which is segmented into regions by slope to detect stop-and-go movement. We show, using generated mock motility videos, accurate detection of velocity and motile fraction changes for velocities < 0.05 pixels per frame, without manual trace dropping and regardless of filament crossings. Compared with established algorithms we show greatly improved accuracy in velocity and motile fraction estimation, with greatly reduced user effort. 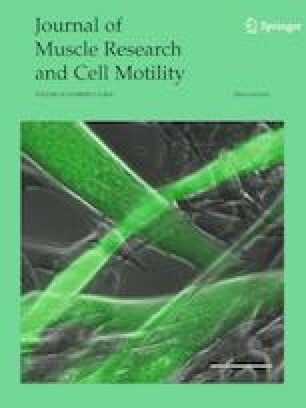 We tested two actual motility experiments: (1) adenosine triphosphate (ATP) added to skeletal myosin in rigor; (2) myosin light chain phosphatase (MLCP) added to phasic smooth muscle myosin. Our algorithm revealed previously undetectable features: (1) rapid increase in motile fraction paralleled by a slow increase in velocity as ATP concentration increases; (2) simultaneous reductions in velocity and motile fraction as MLCP diffuses into the motility chamber at very low velocities. Our algorithm surpasses existing algorithms in the resolution of time dependent changes in motile fraction and velocity at a wide range of filament lengths and velocities, with minimal user input and CPU time. The online version of this article ( https://doi.org/10.1007/s10974-019-09503-3) contains supplementary material, which is available to authorized users. Research was funded by Natural Sciences and Engineering Research Council of Canada, Biological systems and Functions (Grand No. RGPIN/2015-05054).